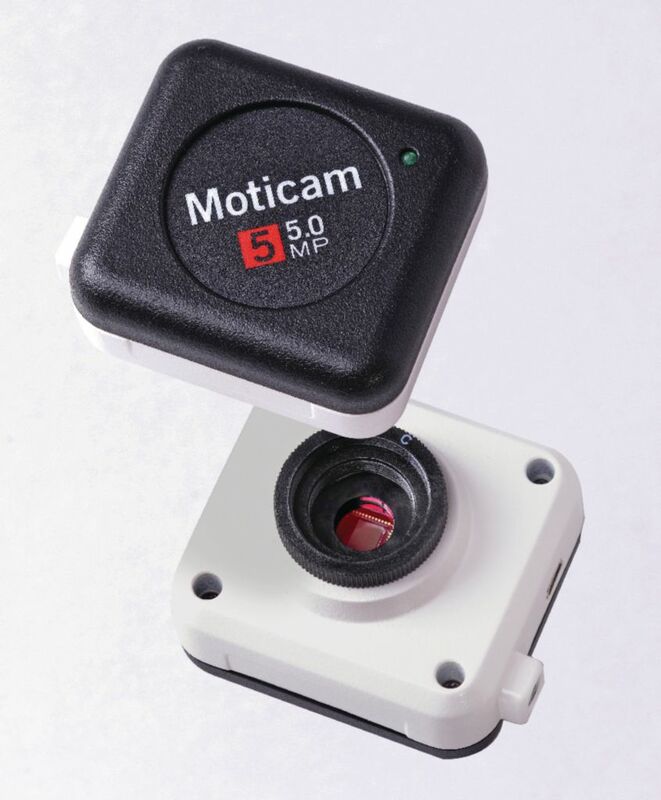 Motic Next Generation MoticCam Series upgrades any standard microscope to digital. Designed to fit the eyepiece of most standard microscopes, this innovative collection of digital eyepiece cameras can transform any standard microscope to a high-resolution digital microscope. Attach the camera to the eyepiece to experience the benefits of a traditional digital microscope. It's ideal for live image viewing, editing, documentation, or presentation. Choose from five versatile models with a wide range of viewing capabilities from introductory to professional grade. The provided Motic Images Plus 2.0 Software lets you capture, store, edit, and measure digital images and video on any computer or laptop with USB connection. System requirements include Windows XP or higher or Mac OSX. Accessories information: Accessories include a C-ring, calibration slide, mini USB cable, two variable diameter eyepiece adapters, and macro tube for macro viewing.